Push through tough runs. 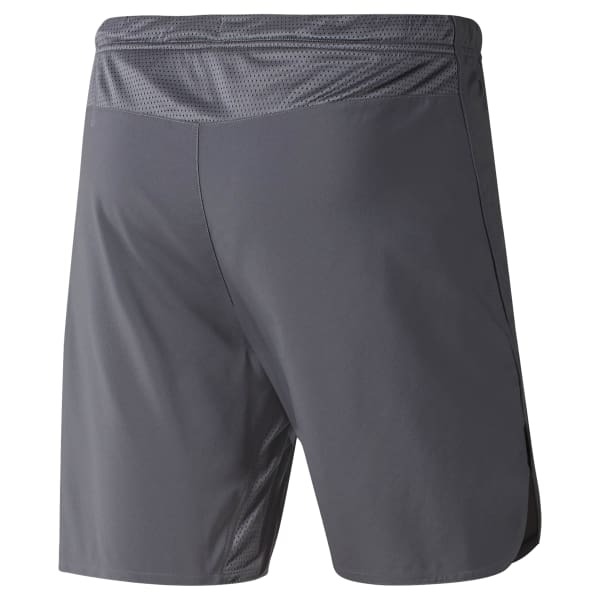 These men's running shorts are made with Speedwick fabric to help keep you cool and dry. A drawcord waist provides adjustability, while side slits at the hem allow for freedom of movement. Reflective details offer added visibility during low-lit runs.